Skip to My Lou, although most famous in all English speaking nations, strangely lacks a documented history. The author is unknown, as is the composer, and location of origin. Although the lyric and style of melody today may most definitely be attributed to American culture, it’s widely accepted that ‘Lou’ is a modification of the Scottish word ‘loo’, meaning love. So, whether the original lyric was adapted from a previous poem or game remains a mystery. One non-cited account of the song’s history suggests Skip to My Lou is the result of rebellion by young people, frustrated by religious prohibition of dance and music during the frontier period. The story relates that Skip to My Lou came about as a chant rather than song, and clapping was used to give a backbeat. Because this was considered as not strictly music, the practice was therefore overlooked or accepted by religious elders. There are some factual elements to this account. The fiddle was indeed viewed by strict Protestants as the devils instrument, and dancing also regarded as sinful. However, the provocative nature of the lyric of today, which suggest finding another partner prettier than you, would surely not have been so easily dismissed by the elders of the day. The lyric does appear to have made a transition from a more traditional one of the past, with added nonsensical versus perhaps to adapt the song for children. What is certain however is that the song has a long history as a favourite at local dances all over the United States, and the current lyric and melody are accepted world-wide as unmistakably American. The significance of Skip to My Lou's origin then, pales in its cultural importance as an important part of American historical culture. 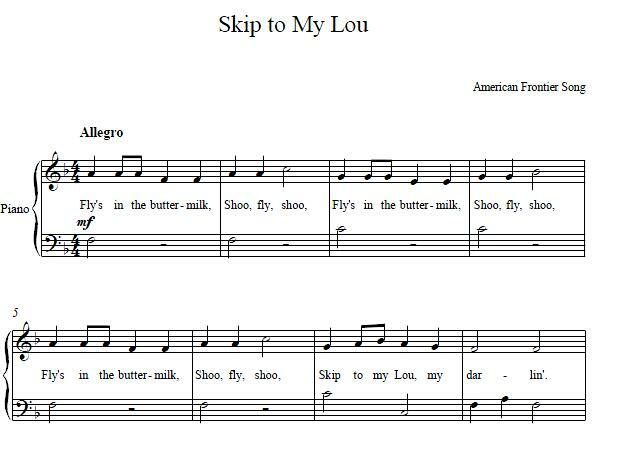 Skip to my lou piano sheet music along with many other easy children piano songs can be found on our easy piano sheet music collection. 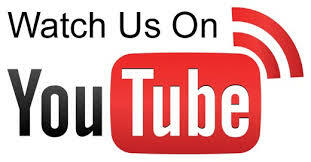 You can also learn to play piano with our piano lessons online and piano tips newsletters.